According to data released by the Centers for Disease Control and Prevention (CDCP) in 2016, 1 in 41 children in the state of New Jersey is diagnosed with autism spectrum disorder (ASD), a developmental disability that can cause significant social, communication and behavioral challenges. This greatly surpasses the national average of about 1 in 68. Autism is sometimes called an invisible disability because it does not present physically; instead children and adults with ASD communicate, interact, behave and learn in ways that are different from their typical peers. Autism is a spectrum disorder, which means the challenges individuals face will vary. Some people with ASD need a lot of help in their daily lives while others need less, but in all cases, autism is a life-long disorder. That is why NJBIA member Spectrum360 is committed to providing options across a lifetime for individuals of all ages with ASD and related disabilities. Comprised of three campuses serving children as young as 3 years old and adults as old as 40, Spectrum360 promises to serve all 360 degrees of the person. Spectrum360 can trace its roots all the way back to 1883, but the modern-day founding really started in 1963 with a small school building in Newark that served just eight students under the name The Children’s Institute. In fact, up until July of this year, Spectrum360 was known as The Children’s Institute, but the name change was made primarily in recognition that the individuals they care for are now far beyond children, and they have a variety of programs and activities for all ages. Spectrum360 has locations in Verona, Livingston and Whippany, each of which serves different school years and age groups. The Verona location serves students from preschool, elementary and middle school through ninth grade, while the Livingston location serves students from grades 10 to 12 and from ages 18 to 21. The school programs are called Academy360 Lower and Upper Schools; both are approved by the NJ State Board of Education Private Schools for the disabled. The Whippany location, Independence360, serves adults 21 and over. Programming offered at Independence360 is comprehensive and focuses on four core pillars: vocational, life and social skills as well as personal development. It is approved by the NJ Department of Developmental Disabilities (NJDDD) and Medicaid as a Day Habilitation program and by NJ Division of Vocational Rehabilitation Services (NJ DVRS) to provide Job Coaching Services. Ultimately, Spectrum360 has a goal to help each individual become more independent, providing individualized and age-appropriate support that individual needs. 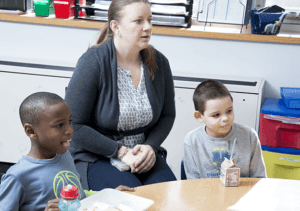 While students at the early age and grade location in Verona most often have one-to-one aide support, this is less common at the Livingston location for high school and young adult students. In the State of New Jersey, students are entitled to educational services through age 21. While most students graduate by age 18 they may still need support to transition to adulthood. That is why Spectrum360 offers a young adult program for individuals age 18-21. After they reach the age of 21, individuals with autism are no longer eligible for educational services and are considered adults. Independence360 was founded to provide services to adults age 21 and with an emphasis on vocational skills, self-care and independent living. Some of the unique programs they offer include FilmAcademy360, which provides opportunities for students and young adults to get involved in the world of film. This could be in learning how to: operate a camera; mix sound; cut and edit film; write scripts and even act. In fact, two of the films produced at the Academy have gone on to win two New Jersey Governor Awards. Similarly, their CulinaryAcademy360 provides opportunities for individuals to learn food preparation and scratch cooking, and provides training for culinary arts as a vocation. Programs offered at Academy360 Upper and Lower School are partially funded by tuition from sending school districts, however, tuition is restricted to state-approved educational programming and may not be used for many of the social, vocational or life-skills programs students with autism require to be successful. As such, fundraising is a very important component, and they do a great job of reaching out for such assistance. They receive donations directly from both corporations and individuals, and/or through participation as sponsors of their events, most of which are held quarterly. Also, support can be non-financial, such as a group of employees volunteering their time to assist with one of the events. Congratulations to Spectrum360 for all the tireless but essential and valuable service they provide to so many individuals with ASD. To learn more about them, and/or to donate to their cause, please visit their website or their Facebook page. Spectrum360 is just one of 20,000 companies that comprise NJBIA’s membership, which is very diverse with representation from an amazingly large and wide spectrum of fields, industries and professions. Look for more unique stories about NJBIA members in future issues of “Beyond 10 West Lafayette,” NJBIA’s membership blog.